WOW!!!! 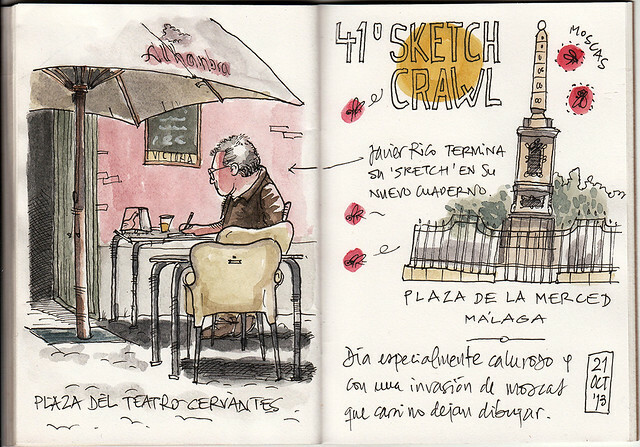 Muchas gracias a todos por la gran acogida en nuestro primer Sketchcrawl. Lo hemos pasado genial con todos vosotros, dibujando, charlando, y riendo! Estamos encantados y esperamos que pronto volvamos a "rejuntarnos" para darle a los pinceles. Thak you for this awesome initiative and forum! We have been drawing a lot of time at home but we are (trying) sketching in the street since two months. So we hope participate in the next SketchCrawl to get more practice!